When you look at your teeth, are you happy with the look, shape, and size of them? If not, you may be interested in porcelain veneers to correct your smile. At Access Dental Care, we specialize in offering veneers to help cover up any imperfections with your teeth. Dr. Song is happy to be able to discuss your options with you. Whether you have a broken tooth or you simply don’t like the color of your front tooth, we can help you and provide you with the services needed to improve your smile. 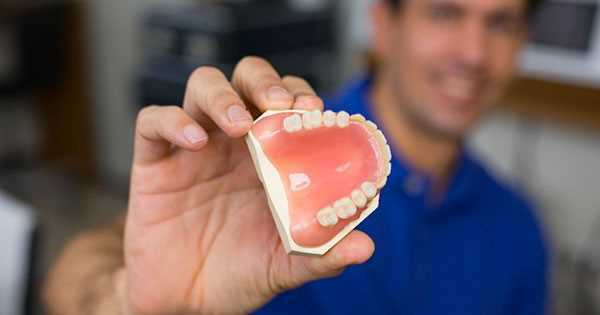 Many patients choose to have porcelain veneers placed on their teeth to boost their self-confidence and prevent them from hiding their smile behind their hand in social settings. Veneers are a great option for many patients and you may be a good candidate for the procedure. Porcelain veneers are one cosmetic and restoration procedure that can really help improve your smile without anyone knowing you had work done. If you would like to discuss your options with Dr. Song, please call Access Dental Care today to schedule an appointment. Porcelain veneers are a thin shell made from porcelain material. The shell is placed over top of any tooth that needs to be cosmetically restored to hide flaws. Your tooth will need to be prepared prior to the placement of the veneer and once prepared, a veneer will be made, and then cemented onto your tooth. Many patients rely on veneers because they are a durable option and are color-matched to the color of your natural teeth. This way, no one will know that you have had work done. In addition, veneers do not stain easily, which allows you to eat acidic foods and drink coffee without fear of staining. Porcelain veneers are also ideal for straightening your teeth and can provide you with a straight smile without the use of braces. If you want to have veneers placed on your teeth, you will first need to have a consultation performed. When you come into our office, you will have x-rays taken of your teeth and meet with Dr. Song to discuss whether or not you are a good candidate for veneers. Once Dr. Song has determined that you are a good candidate, the procedure can begin. One thing to keep in mind is that you may need to have other procedures done before your dental veneers can be placed. For example, if you have dental cavities, you will need to have them filled BEFORE your veneers can go on. When you arrive at Access Dental Care for your veneer procedure, we will start by prepping your tooth for the veneer. Dr. Song will remove some of the enamel off of your tooth. The amount that needs to be removed well depend on the exact size of your tooth. The prepping procedure is quick and you will not experience any pain. Once the tooth has been prepped, an impression of the prepared tooth will be taken and sent to the lab. The lab will then make the veneer and once it is received in our office, you will come back in for another appointment. At your second appointment, Dr. Song will fit the veneer on your tooth and reshape or resize the tooth as necessary. Once he is happy with the result, he will cement the veneer in place. After the cement has dried for a couple of minutes, Dr. Song will recheck your tooth to ensure the right fit and shape. You may be asked to return for an additional follow up to check how the veneer is working a few weeks from now. What Are the Downsides to Veneers? As with any procedure, there will be some downsides to having veneers, but with proper care, you will be happy with them and they will last a long time. Veneers are permanent, so you must keep this in mind when you choose this restoration option. You cannot simply take your veneer off whenever you want. You must also be careful when you eat hard foods, take a bite of something hard, or bite your nails, as you may cause the veneer to fall off when even pressure is applied. If this happens, your veneer will need to be replaced on your tooth. Lastly, you still need to care for your porcelain veneer as you would with your natural tooth. Veneers can still develop dental decay, which will affect the underlying tooth. If you do develop dental decay, it will need to be filled and a crown may be required to fix the tooth or hide the filling. When it comes to your oral hygiene, you need to make sure you take care of your porcelain veneers or they will not last a long time. You should brush your veneers as you would your normal teeth. Flossing should be done twice a day as normal. You should have a dental checkup performed every six months to ensure healthy teeth and gums. When you come in for your routine checkups, Dr. Song will check your veneer for any problems. If you are interested in discussing porcelain veneers with Dr. Song or you would like to discuss another cosmetic procedure, contact Access Dental Care today. We are here to help you feel good about your smile and our dental procedures will help ensure your smile is big, beautiful, and bold. Stop hesitating and don’t put your dental care off anymore, call our office today!